*NOTE: This time the market takes place during the OT301's Otopia Festival. The festival aims to bring a fresh audience to the venue and there will be daytime programs taking place throughout the building. We expect an extra flow of inquisitive members of the public to be coming through that day - the fair will be promoted via their channels as one of the attractions that weekend. * We encourage entrants to bring 1 bag to sell/trade. * Our stall holders are encouraged to make use of the free 20 minute time slots, on the venues sound system. 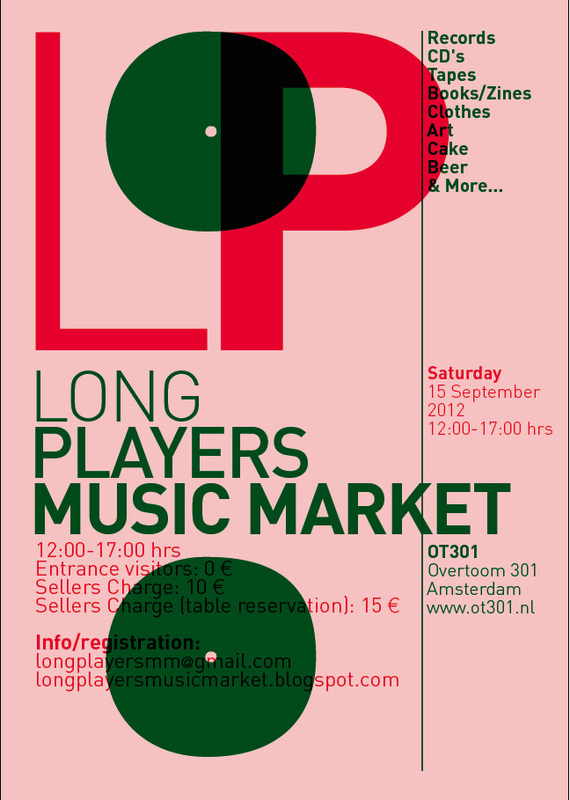 There they can play their most desirable items and obscurities - Buy / Sell straight from the turntable! A 10 Euro Charge is expected from every seller (to reserve a table the fee is 15 euros, in total, as we hire these in especially). Your fee covers the costs of the fair and keep the customer entry fee down to an absolute minimum i.e. Free! Payment should be made on arrival, you can also reserve a time-slot (for free) on the sound system if you fancy spinning some of your wares. tip: put some fresh needles on the decks because last time they wrecked some of my records..
hope all is good with you - loved that set you played at FAQ!!!! yeah was nice talking at FAQ, don't know if I will attend at the OT301 fair but keep in touch and let me know when you will be in DenBosch again..